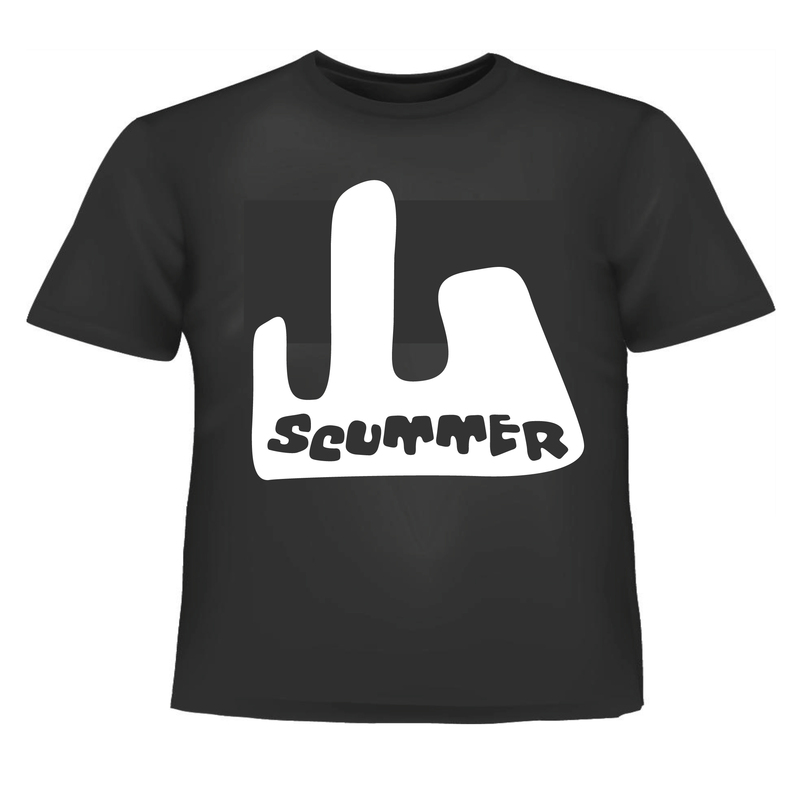 Black Tshirt with Scummer ident on it. Black Tshirt with Pisstaking Freeloader printed on it. 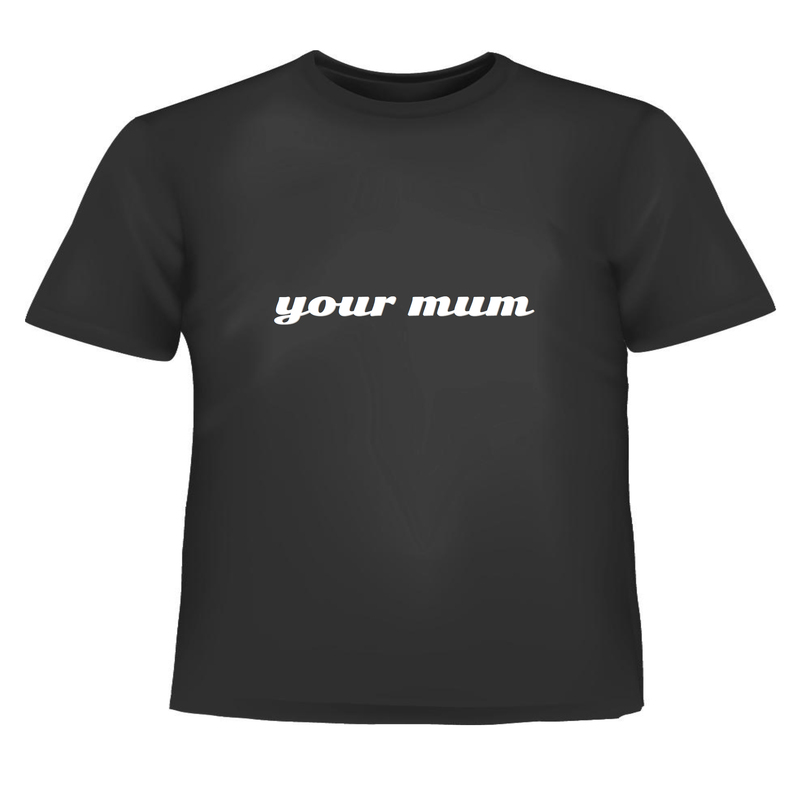 Black Tshirt with Your Mum printed on it. Black Tshirt with Oh No printed on it.